- HWA 4th Annual Pillman Memorial Show (August 9, '01) = The A-Squad (Dean & Chet Jablonski) fell to Mike Hard & the Damaja. - HWA WWIII War Games (December 29, '04) = Team Fox (Jablonski, JT Stahr, Quinten Lee, Gotti, & 4BJ) won a "War Games" Match over Team Kimera (Cody Hawk, Matt Stryker, Chad Collyer, & Deuce). 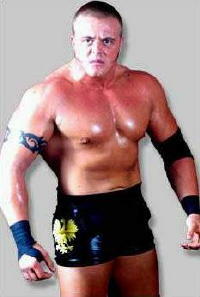 - HWA My Bloody Valentine (February 18, '05) = Jablonski lost a "#1 Contenders" Match to Shawn Osborne. - OVW Summer Sizzler Series '05 (July 1) = Chet The Jet defeated Dean Fiske. - OVW Rasslin For Relief Benefit Show (October 1, '05) = Chet The Jet won over Casey James. - OVW Six Flags Summer Sizzler Series '06 (June 16) = Chet The Jet, Amish Roadkill, Kasey James, Chad Runnels, & Mo beat Pat Buck, Jack Bull, Rahim, & the Untouchables. - OVW Six Flags Summer Sizzler Series '06 (June 30) = Chet The Jet, Elijah Burke, Kasey James, Cody Runnels, & Shawn Spears lost an "Elimination" Match to Vic Devine, the Miz, a third wrestler, & the Untouchables. - OVW Six Flags Summer Sizzler Series '06 (July 29) = Chet The Jet, Brent Albright, Sean Osbourne, & Cody Runnels defeated Jon Bolen, Eddie Craven, Rod Steel, & Aaron Stevens. - OVW Six Flags Summer Sizzler Series '06 (August 11) = Chet The Jet beat Boris Alexiev. - OVW Summer Sizzler Series '07 (June 8) = Chet the Jett & Steve Lewington fell to Victor Kozlov & Mr. Strongko. - OVW Summer Sizzler Series '07 (June 15) = Chet the Jett lost to MVP. - OVW Summer Sizzler Series '07 (June 22) = Chet the Jett & Seth Skyfire were beaten by the James Boys. - OVW Summer Sizzler Series '07 (June 29) = Chet the Jett fell to the OVW Heavyweight Champion, Jay Bradley. - OVW Summer Sizzler Series '07 (July 6) = Chet the Jett lost a "$2,500 Bodyslam Challenge" Match to Antoni Polaski. Chet would have had to bodyslam Polaski to win the match. - OVW Summer Sizzler Series '07 (July 13) = Chet the Jett took down Jesse Dalton. - OVW Summer Sizzler Series '07 (August 3) = Team Snow (Chet the Jett, Colt Cabana, Atlas Da Bone, & Al Snow) won, via DQ, over Team America (Mike Kruel, the Belgian Brawler, & Los Locos). - OVW Summer Sizzler Series '07 (August 10) = Team Snow (Chet the Jett, Colt Cabana, Atlas Da Bone, Robert Gibson, & Al Snow) won a "Capture The Flag Wargames" Match over Team America (Vladimir Kozlov, Mike Kruel, the Belgian Brawler, & Los Locos). - OVW Summer Sizzler Series '07 (August 17) = Chet the Jett & Steve Lewington defeated the Daltons.